Spring will be here before we know it, which means the sounds of bats cracking and gloves popping will grace your earholes once more. This year’s spring training features some wrinkles, as some games will be played in new territories. The Diamondbacks and Rockies will meet south of the border March 9-10 in a pair of spring training games to be played in Estadio de Béisbol Monterrey, Monterrey, Mexico. It’s a precursor to many MLB games being played around the globe this year: The Mariners and Athletics will play a two-game series in Tokyo to start the 2019 season on March 20-21 — a week before the rest of the league opens — while the Yankees and Red Sox bring their rivalry to England’s London Stadium on June 29-30. Below you’ll find the reporting date for pitchers and catchers, followed by the respective team’s first full-squad workout. Dates will be added as they are announced. When does MLB spring training start 2019? 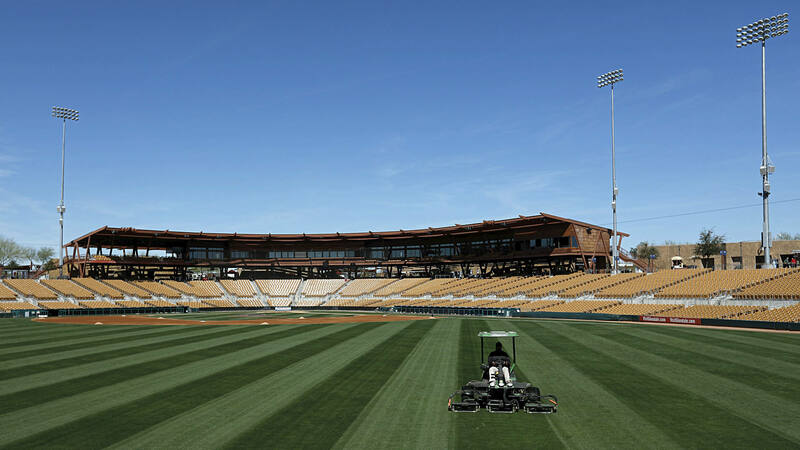 The first spring training game in 2019 will be played Feb. 21 between the Mariners and A’s at Hohokam Stadium in Mesa, Ariz., to begin the Cactus League schedule. The Grapefruit League opens the following day (Feb. 22) with a game between the Rays and Phillies in Port Charlotte, Fla.